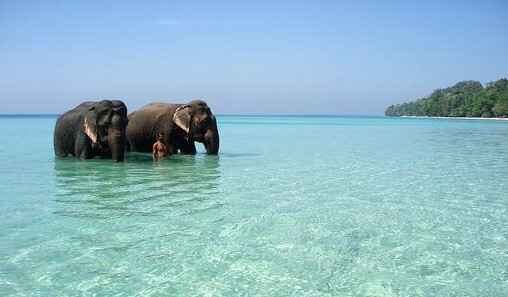 Thailand chain of islands is like the Caribbean of Asia. It have a lot of pristine sandy withe beaches. As you charter a yacht in Thailand there will be a great range of activities such kayaking, Scuba, snorkeling, sailing among others. It will offer you a variety from tropical Islands, ancient ruins and jungles. The cruising itinerary around Plethora will ensure an activity that fit with everybody onboard. 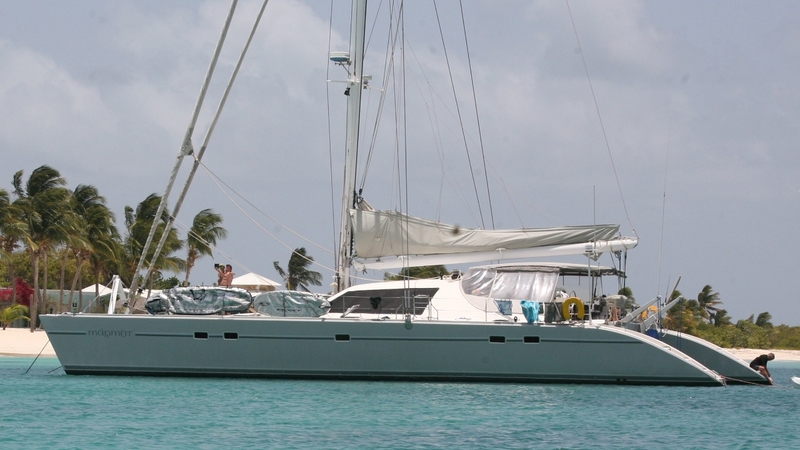 Does not matter if you choose a motor yacht, Catamaran or sailing yacht charter. You will get the trip of the lifetime. You will love the yachting scene untouched and protected by the natural beauty. The main port to board your yacht is Phuket. This port have the vast amount of yachts and centrally located where also you can cruise to the Andaman Islands. Phuket is the premier destination for Luxury yacht charters in the region. More than 100 islands are within the reach of this city. That will assure you privacy when decide to steer your course away from other boats. Phuket and boarding for the night. 29 NM Departure for Koh Racha Yaï in the South of Phuket. We will anchor there for the night. We sail pass through several islands. Koh Racha Yai: Located 19 kms south of Phuket, the islands of Koh Racha Yai (also known as Raya Yai) and Koh Racha Noi (Raya Noi) offer visitors a beautiful anchoring for the night. Koh Racha Yai is made of crystal clear waters and white sand beaches. It is an ideal spot for the divers and snorkelers. Ao Tawan Tok, located on the northwest coast, is the main beach of Koh Racha Yai. It looks like a u-shaped bay. The site is ideal for underwater photographers or videographers since the ocean floor is flat here and offers great views of hard and soft coral. We may spot Trigger fish; Moray eels; Puffer fish; Stingray; Octopuse; Cuttlefish. 27 NM From Koh Racha Yaï we will sail to Koh Phi-Phi. Koh Phi-Phi is classified as one of the three most beautiful island in the world with its magnificent views and one of the most beautiful beach named Maya Bay (Anchor overnight at the Maya Bay from November to April only). 28 NM We will sail from Koh Phi-Phi to Koh Lanta. It is a short sailing trip where you will be able to purchase fresh products such as fruits, fish and vegetables. 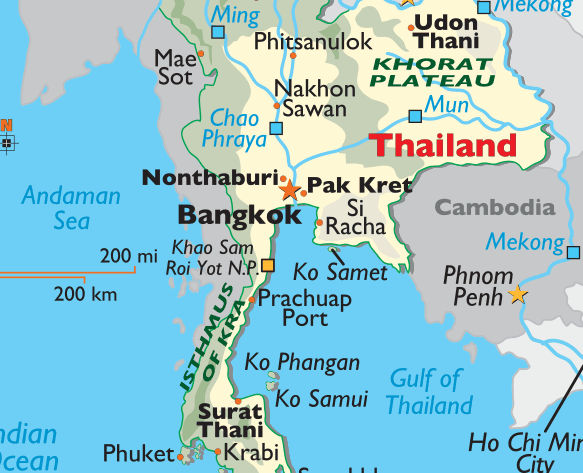 Koh Lanta: Koh Lanta spreads over an area 152 km2 with 50 tiny islands in the area. It consists of two major islands, the more populated one, Koh Lanta Yai and smaller one, Koh Lanta Noi. The island is the place with many boat piers and sea arrivals. There are many restaurants and shops for tourists. Koh Lanta has 10 white-sand beaches mainly in the west coast. The east coast is mountain covered with rich tropical rainforest. Try to get down to the end, the National Park area with two curved beach, it is wonderful!!! 12 NM Anchor at Koh Muk (stopover at Koh N’Gai), which is an island of fishermen. Amazing closed cavern, which opens onto a beautiful lagoon. 16 NM We sail towards Koh Rok-Nok, beautiful crystal clear waters where you can also participate in some impressive snorkeling. Koh Rok Nok: Ko Rok Nok is an uninhabited island located about 30km from Tanoad Cape of Koh Lanta Yai. It is sister island to Ko Rok Nai. The Islands sit side by side, approximately 250 meters apart, and are a part of the Mu Koh Lanta National Park. Ko Rok Nok is full of soft white sandy beaches and shallow coral reefs in the southeast and the south. Hat Thalu and Ao Man Sai are situated at the end of the island. Ko Rok Nai is an island that is mostly steep cliffs. To the east, it offers a beach and unspoiled coral reefs among rocks. Laem Thong and Ao San Chao are to the north. Ko Rok Nai offers white sandy beaches, crystal clear water, and is still very intact. The National Park’s Ranger Station is located here. 16 NM Anchoring at Koh Ha Yaï, which is one of a small group of islands out in the ocean. White sandy beach awaits your arrival (only between November to April). Koh Ha Yai: Ko Ha IsLand Lies between Ko Phi Phi and Hin Daeng, closer to Ko Lanta, and is made up of five small islands (Ha is Thai for five ).There is only one small beach on these islands, but the site is ideal for snorkeling and diving, with several dive possibilities. 20 NM From Koh Ha Yaï, we will head towards Koh Phi-Phi which is classified as one of the three most reputed island of the world with its magnificent views and one of the most beautiful beach named Maya Bay (Anchor overnight at the Maya Bay from November to April only). 19 NM From Koh Phi-Phi, we will sail to Ao Nang or Ralay, situated on the coast of Krabi. Stop over in Koh Kaï, where the low tide will enable you to walk from one island to another. Outstanding beaches! Koh Kai (Chicken Island): Gets it’s name from the strange rock formation at one tip of the island that looks like the head and neck of a chicken. On the other end of the island, it consists of steep cliffs white a beautiful beach lies along the peninsula. 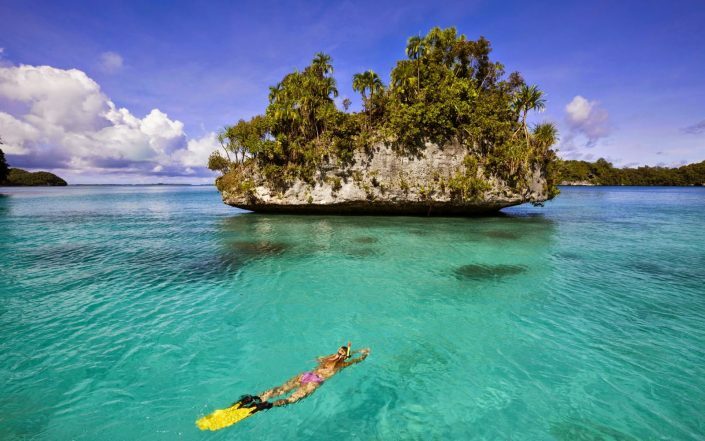 At high tide, the beach disappears and offers excellent snorkelling opportunities in its warm and clear water, which is rich in coral. Chicken Island can also be visited all year round as it is not affected by monsoon season. 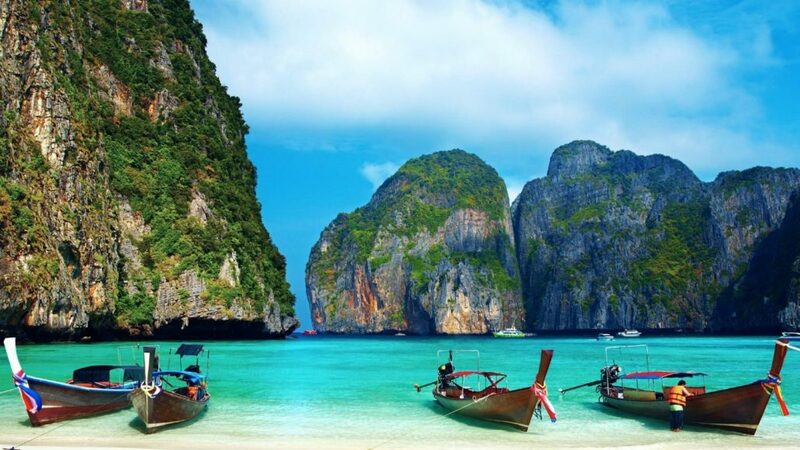 Ao Nang: A large bay with scenic beaches and 83 small islands, Ao Nang has several famous beaches including East Rai Le, West Rai Le and Tham Phra Nang (cave), which stretch to the foot of a prominent limestone range. 40 NM We will sail toward Phang Nga Bay. Secret lagoons, crystal clear waters, unspoiled islands… unforgettable end of your trip prior to sailing back to base. Phang Nga Bay: A distinctive feature of Phang Nga Bay is the sheer limestone cliffs that are just vertically out of the emerald green water. James Bond Island and Koh Panyee are just two of the more famous spots in this bay. You can sail through the dramatic limestone islands and anchor to enjoy quiet beaches. James Bond Island: This famous landmark, called Koh Phing Kan, first found its way onto the international map through its starring role in the James Bond movie ‘The Man With the Golden Gun’. The entire area surrounding this island with its signature rocky pinnacle is indeed spectacular. Koh Panyee (Sea Gypsy Island): This is a remarkable village, the whole of it built out over the water on stilts and with a giant rock monolith guarding its rear. It is a very good place to get a seafood Lunch and shop for handicrafts.